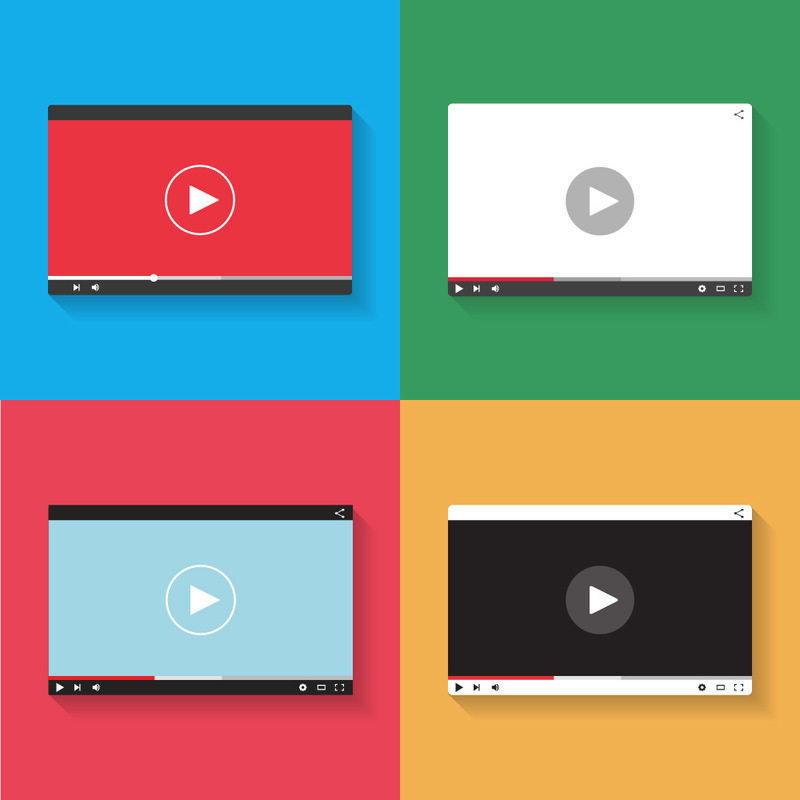 Every YouTube channel’s quest: to keep viewers watching more and more of their content. But how do you achieve this goal? There are endless tricks and methods that creators and channels use to keep their audience within their channel’s ecosystem, whether that’s through playlisting, cross-video promotion or the trusted end card. These all help keep viewers with you and that helps the all-important watch time to go up. Traditionally end cards have been a very effective way of turning one view into two views, and more. The trouble with these is that they require an element of graphic design and thereon an ability to work the graphic into a video edit, which is not only time-consuming but may well require a lengthy procedure and pass through many different people before a video can be uploaded. Hence the need for an in-platform end card programming system, easily useable and functional for all YouTube users, not just video editors. YouTube has, as of October 27th, rolled out this very feature: end screens. Creators now have the option of either having annotations (traditional note, spotlight, etc.) or end screens — but they cannot have both. YouTube end screens are an easy alternative to end cards that essentially serve the same purpose but can be added at any stage in a video’s lifetime on YouTube, with no need to re-upload. With many in-built preset formats, they are easily customizable and multi-functional. You have the option to feature up to 4 videos or playlists of your choice along with a subscribe button, and they can run for the final 5 to 20 seconds of any video. A nice feature YouTube has included is the option of having a “best for viewer” video, where YouTube auto-selects the video based on the viewer’s user history on the channel, bringing an added element of personalization. End screens are time-saving, flexible and very straightforward, and you can implement them on new and old content. They have the potential for cross-channel collaboration and audience sharing with minimal planning. Importantly, they still carry the same value as end cards have always done by continuing a viewer’s watching experience and maintaining eyeballs on our desired content while also being accessible on mobile devices — a massive step forward given changing audience behaviors in this direction. These all work together to build a channel’s watch time, which in turn improves your rankings in YouTube search. There aren’t any notable flaws with the end screen feature as yet. The nature of their flexibility means if they are not working on a particular piece of content, you can change and experiment to find end screen material which works better. They do also rely on strong audience retention — i.e. viewers actually making it to the end of the video — so to an extent, success depends on the quality of your channel content too. Should we implement end screens instead of end cards? It depends on the channel’s priorities. A channel with a big schedule may save time by using end screens, but channels with large production teams and hosts or personalities may prefer to continue producing traditional end card style video closures. 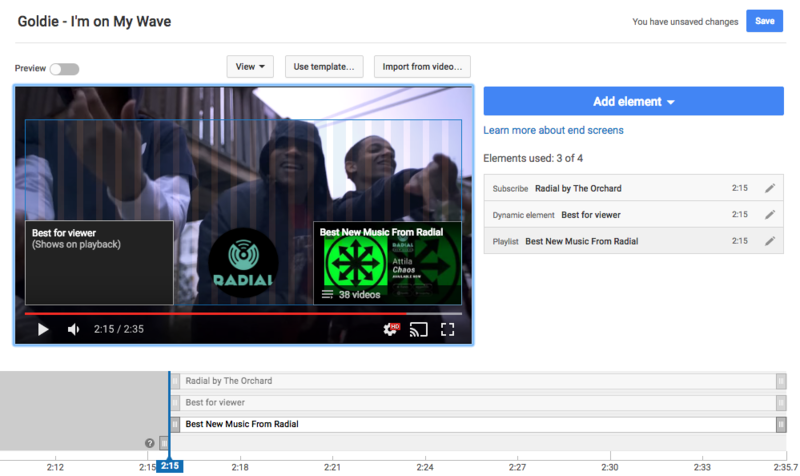 Whatever your channel’s goals or priorities are, YouTube end screens are a great new feature to add to your arsenal. They allow the smallest of creators to push viewers to watch more and incentivize us to create highly compelling and related content to pair them with. Let’s look forward to seeing these being put to use! Image courtesy of tanjaal/Adobe Stock. 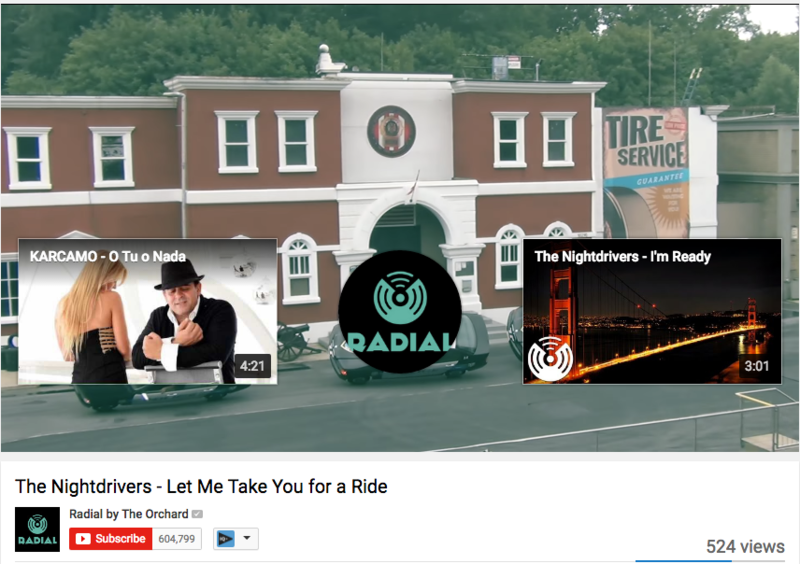 Screenshots from The Orchard’s Radial YouTube channel.